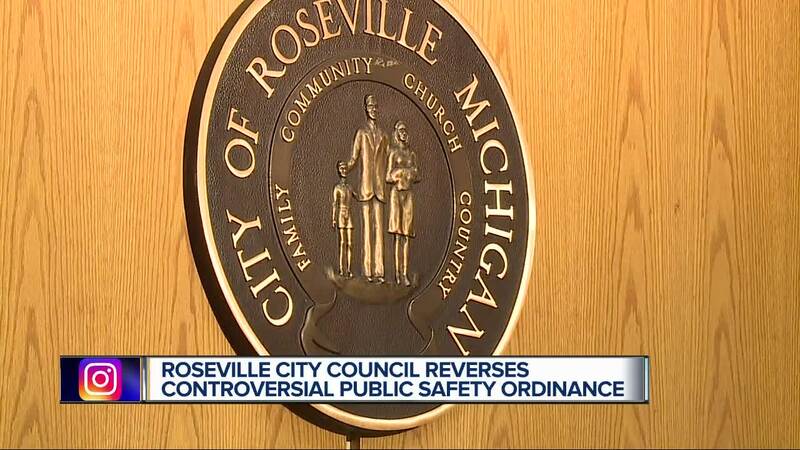 The Roseville City Council is reversing an ordinance just 2 weeks after putting it in place in response to public outcry by first responders and the public. The decision erases the move to make the Police Chief the new Public Safety Director while finding ways to balance the budget. It was a quick and surprising vote that got a lot of praise. The decision to create a public safety department came two weeks ago in a unanimous 7-0 vote. So, you can imagine the surprise when again, unanimously, the council decided to do a 180. Many claimed the original move was done behind closed doors, without consultation from first responders or the public. Though the move was meant to start a process of cutting cost for the city, it did not calm the fears of first responders and their families thinking jobs may change or go away. “For the past two weeks I’ve cried. Changing the police department, the fire department, those have serious effects on our families,” says Christine, the wife of a firefighter. “Once we listened to the audio tape, it was clear that they were going to try and balance the budget on the backs of firefighters over time and that’s just not acceptable to us and as you’ve seen tonight unacceptable to the residents,” says Scott Bala, the Roseville Fire Association President. The mayor responded, saying the initial meeting was open and the only change made was administrative. Regardless, the council apologized for the perception that public safety wasn’t coming first. And the reversal got major praise.